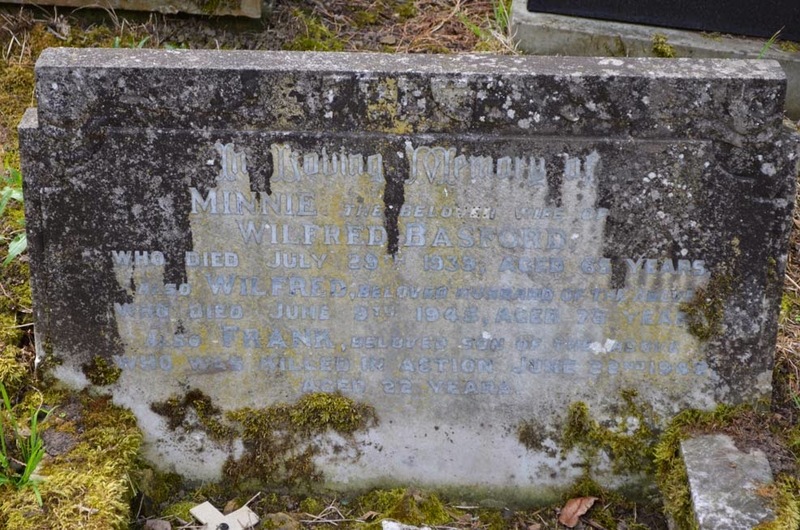 In Loving memory of / MINNIE, the beloved wife of / WILFRED BASFORD / who died July 29th 1939, aged 65 years / also WILFRED, beloved husband of the above / who died June 9th 1945, aged 72 years / Also FRANK, beloved son of the above / who was killed in action June 22nd 1942 / aged 22 years. Read more about Frank on Silkstone Remembers. Frank is remembered on the Alamein Memorial in Egypt and commemorated on the Commonwealth War Graves Commission website.